Justice Tribeni Sahai Misra born on 15th day of November 1922 as the eldest son in a highly educated Zamindar’s family at Mahona, Lucknow. He studied in Government Jubilee College and passed his Intermediate in science with Mathematics. He got married in the year 1940 to Dr. Shakuntala Misra. He Completed his Graduation from Allahabad University in 1943. He was imprisoned and kept Naini Jail during Quit India movement in year 1942. He was kept in a cell along with Late Yashodanandan a Former Judge of Allahabad High Court. He passed his M.A in English and did his L.L.B together from Lucknow University in the year 1945. He was a 1st Divisionary throughout and started practice in civil side at Lucknow under Mohd. Abbasi, Advocate. Thereafter he left the profession for the time being and gained experience as company Secretary at Kalyan Mills Ahmedabad and letter on shifted in the same capacity to Bombay now called Mumbai at indu Mills. He thereafter shifted to Kanpur in 1951 and started his practice in civil side under Pt. Babu Lal Misra. He was also appointed as a Lecturer in Law at D.A.V College and thereafter became the Dean faculty of Law at Kanya Kubj College, Kanpur. He was appointed as District Government Counsel. 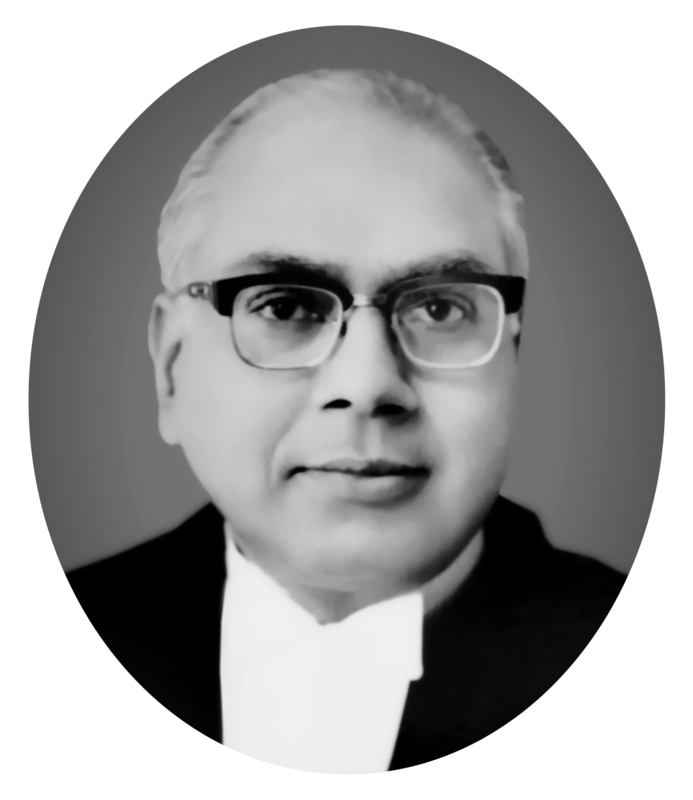 (D.G.C) in the year 1964 and was elevated as a Judge of Allahabad High Court in the year 1971. He remained Senior Judge at Lucknow Bench of Allahabad High Court till he was appointed as Chief Justice of Guwahati High Court in 1983. His younger brother Justice K.N Misra also adorned the Lucknow Bench of Allahabad Court Mr. Justice T.S. Misra also functioned as the Governor of Assam and Meghalay. He retired on 14th November 1984 as Chief Justice of Guwahati High Court. Mr. Justice T.S. Misra also occupied the Chair of Lok Ayukta of Bihar from Jan 196 to 1991. Since then he had been living a happy and peaceful life at Lucknow with his youngest son Shri Satish Chandra Misra. He passed away on 24th October 2005 leaving behind his 4 sons and 2 daughters. His eldest son Justice V.C. Misra retired as a Judge of Allahabad High Court. His other two sons. Dr. Subodh Chandra Misra and Dr. Ambrish are Engineers who passed out from IIT Kanpur and thereafter did their Ph. D. form most reputed universities in U.S.A they are now settled in U.S.A His youngest son Sri S.C. Misra is a Senior Advocate and Member of Parliament Rajya Sabha since 2004. Smt. Asha Tiwari and Smt. Abha Agnihotri are the two daughters of Justice Misra. Smt. Asha Tewary is presently Member Human rights Commission U.P. and smt. Abha Agnihtori is Former Chairman Women Commission Uttar Pradesh. Justice Misra has left behind a Legacy of successful lawyers. He had three younger brothers. His brother Late Laxmi Narain Misra looked after family agricultural property and was involved in social works. His other brother Late Justice Kailash Nath Misra retired as High Court Judge, Allahabad and his youngest brother Late Rajendra Nath Misra had been D.G.C. Revenue. His brothers all preceded him for heavenly abode. Besides his sons his nephews Sri Sudhir Pande, Sri Upendra Nath Misra and Sri Shivji Shukla are Successful practicing Lawyer’s of High Court. His grandson Kapil Misra is also a Practicing Lawyer of High Court and Superme Court. He was a keen sportsman and ace footballer. He was the Captain of his badminton and football Team. Dr. Shakuntala Misra was born Kanpur in the year 1924 in a renowned Brahim family. During her childhood she used to spend her summer vocation in her native villagers. She was inspired to work for them after meeting down trodden, poor, handicapped persons in the society and noticing the difficulties being faced by them. She was saddened to see that children are deprive of education because of their caste or being handicapped. In order to impart education to have nots and handicaps, she qualified M.A and B.T. without financial support from her family, despite belonging to a well off family. She completed her education so that she may teach poor children free of cost by even providing food and books to them. Not only this, she made arrangements for poor students to achieve professional and technical education, so that they can lead their life independently and with dignity. After her marriage she obtained Homeopathy and Ayurvedic Medical Degree. Thereafter, she opened a charitable hospital in Kanpur where treatment and medicines were given free of cost to down trodden people of society. She was very kind hearted, religious and always keen to serve the society. She helped people unitedly, so that people can get rid of their disability and become active member of the society. She believed in spending time and money for helping the poor people, so that they become independent by developing skill as per requirement of the market and do not seek favors from others. Although, she left this world in 199 1 for her heavenly abode but her idles, kind heartedness and working tirelessly for others will keep inspiring us forever. Acknowledging her hard works specially for Handicaps, State Govt. of U.P in the year 2008 has established a University in her name where best education is provided with a world class structure to all types of Handicaps, The University has been named after her as “Dr. Shakuntala Misra National Rehabilitation University” established on 100 Acres of land and situated in Mohan Road, Lucknow.